LED lamps have always been larger and heavier compared to the good old incandescent lamp. And with their bulbs made of plastic they seemed not to be high-quality. Not anymore! 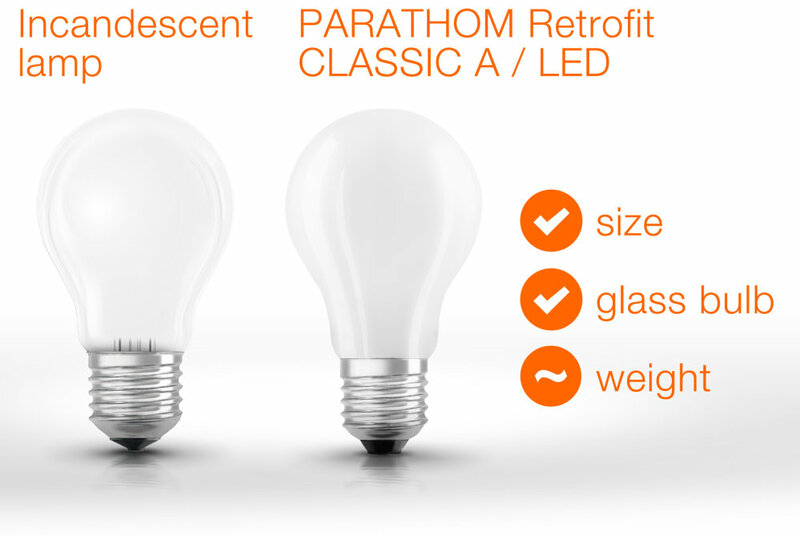 With the new PARATHOM LED RETROFIT OSRAM LED lamps from LEDVANCE you get the first real replacement products that look exactly the same. The facts of the highly efficient LED lamps: same size, full-glass design, almost the same weight - they will not show any difference to incandescent lamps in the frosted version, even if you hold them in your hands personally. 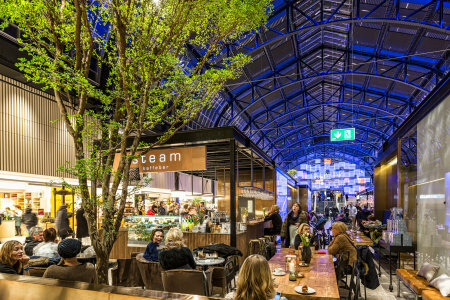 The advantages are obvious: Your customers benefit from an energy saving of up to 90 % and you can fit the lamps into all existing luminaires. Of course, the clear-glass version also offers all of these advantages, but here the technical development with the new and stylish LED filaments is openly visible - which is more and more desired by many customers. You have the choice between different wattages, sockets and shapes. The CLASSIC A is available as a 40W and 60W version, the CLASSIC B as a 25W and 40W version, and the CLASSIC P as a 40W version and E27 base, as well as the 25W and 40W versions with an E14 socket. In the clear version, a number of further direct replacement LED lamps are available, but then with the innovative and stylish "LED filament" as a visible technical development.